Hi All. I’m so excited! 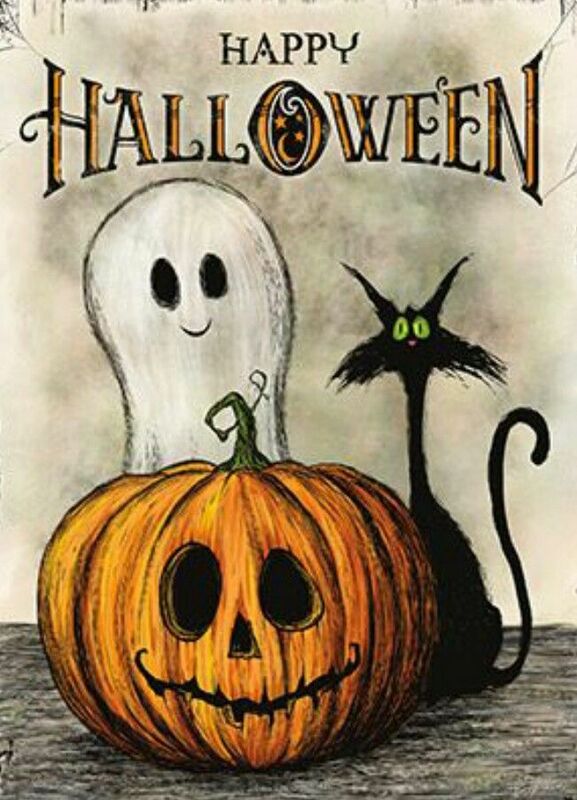 Another year has passed, and once again it is time for Susanna Leonard Hill’s annual Halloweensie writing contest. You can find all the rules and regulations here. If writing isn’t your thing, then please make sure to head here and read all the fabulous stories. I am always blown away by all the wonderful, and creative entries. It is amazing what writers can do with only 100 words. 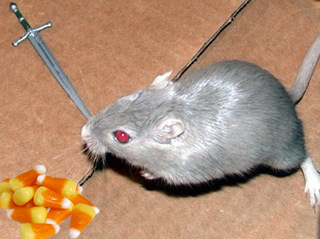 I have decided to revive my lovable (or not so lovable) Evil Dr. Gerbil for this Halloween special. In case you don’t remember, The Evil Dr. Gerbil hasn’t been seen since his prison escape last Christmas. I hope you enjoy my entry. FOX NEWS ALERT: Halloween Heist! 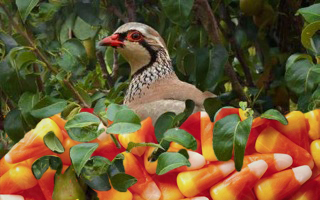 Halloween trick-or-treaters reported being held up for their candy corn cache last night. 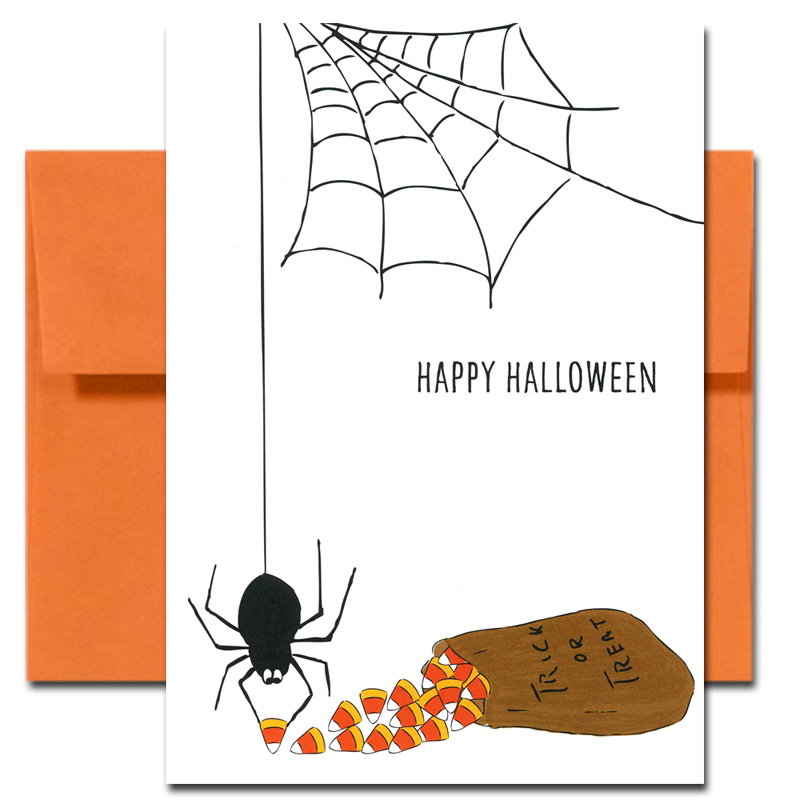 One group of children described the shadow of a rodent creeping up from behind demanding all of their candy corn. Inspector Wallaby believes The Evil Dr. Gerbil, and his on-again, off-again girlfriend Patty Partridge, who is known to have a monstrous sweet tooth, are responsible. Bits of feathers, and rodent droppings were found at the scene and have been sent to the DNA lab for further testing. 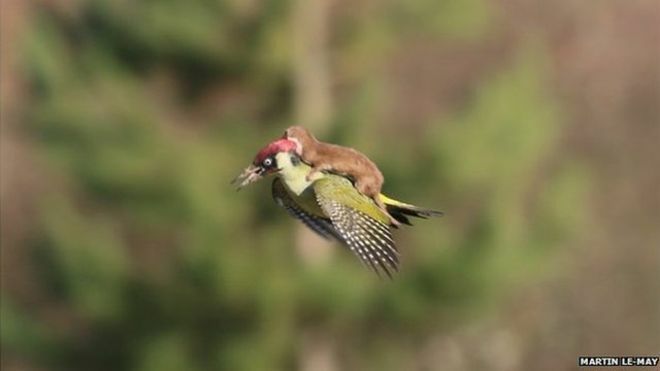 Wonder Weasel is flying in to assist. Too funny! The “Fox News Alert” photo got me laughing right off the bat. Very clever! Thanks so much. My brother helps me with photoshop lol. This story made me chuckle and grin! Well done and great story format in form of news story. Thank you Traci. I enjoy writing this in news format, it’s a fun change. Wonder Weasel always saves the day. Thank God is wasn’t chocolate or heaven knows what would happen. Jean, so glad you hopped on board for Susanna’s Halloweensie Contest. I was excited to read on in the adventures of the Evil Dr. Gerbil…I think you’ve got something here…I know my grandson would love a whole series like this!!!! Well done! Vivian thank you so much! Yes The Evil Dr. Gerbil is quite a character. I really do love him. Thanks for your supportive comments, always so nice! Loved your illustrated story, Jean! I’ll obviously have to be back for more Evil Dr. Gerbil adventures. Fun! Thanks Jill. 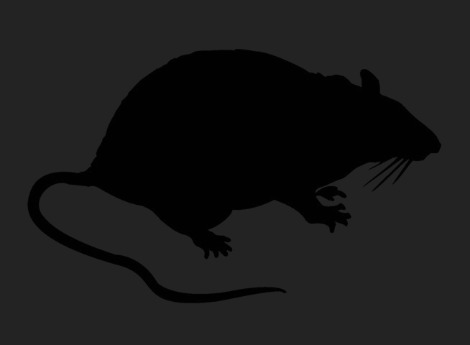 That Evil Dr. Gerbil is always up to something bad…until next time. Oh, LOL, this is hilarious! Well done! Well done! Thank you so much Jilanne! Very funny! Evil Dr. Gerbil makes a great character. Thank you Sandy, yes I love the Evil Dr. Gerbil. This is hilarious! I laughed out loud. What a fantastic entry and so original. Good luck! Thank you so much Corine! Thanks Maria, I would love to expand The Evil Dr. Gerbil’s world, especially if I can write more than 100 words. Thanks so much for you nice comment. Wonder Weasel will solve the case. Well done. Good luck! Thanks Greg! We’re all counting on Wonder Weasel. Thanks Buffy! I have a lot of fun with these characters. Loved your story as well! Haha. Loved the news alert. Ooh! Love the return of the evil Dr. Gerbil! You and Julie Abery should get a special proze for series work 🙂 Fun news alert style and plenty of mystery! I have a feeling that the evil Dr. Gerbil and Patty Partridge DID escape from prison and will show up in the Holiday Contest! 🙂 Thanks so much for joining in the fun, Jean! Thank you Susanna, I do love these characters, and thank you so much for another great Halloweensie and all the work you and your helpers do. This is always one of my favorites!